Bring the natural beauty of the English countryside into your home with this 24cm Reed shallow bone china bowl. 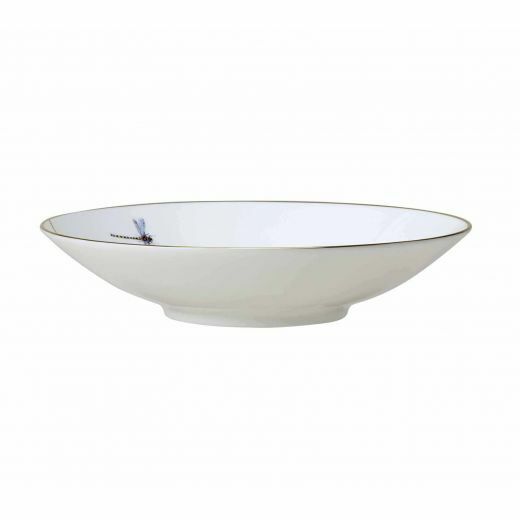 The shallow design of this fine bone china bowl is ideal for serving your signature pasta dish. Bring the natural beauty of the English countryside into your home with this 24cm Reed shallow fine bone china bowl. The shallow design of this fine bone china bowl is ideal for serving your signature pasta dish, while the hand painted illustrations of iconic British birds showcase the artisan craftsmanship found in the English potteries.